I can’t figure it out. 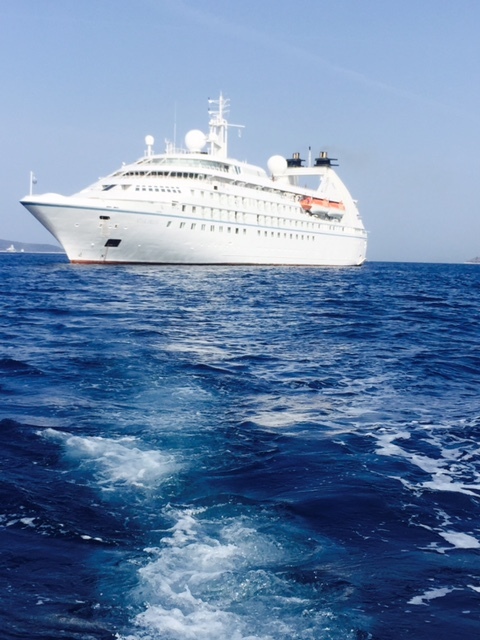 What was my favorite thing about our 9-night Windstar Cruise from Athens to Venice? The exotic ports of call? The French doors flung open all night as the sound of the Aegean serenaded us to sleep? The service-with-the-biggest-smiles attention? The open bridge policy to watch all the goings-on of the captain’s maneuvers in and out of harbors? The tour guides fascinating us with quaint stories of ruins and wineries? Must I choose? Our first three days brought us to the Peloponnese in Greece, visiting the sites of the first ancient Olympics, Olympia and Itea, with their ruins and stadia and temples honoring the gods who featured so prominently in the games. Christiana, our insightful guide during our tour of Delphi, brought the history of this sacred site to life. Known in ancient times as the Omphalos, the navel and center of the universe, it was the site where people came from across all of Greece once a year to beseech the Oracle of Delphi for her prophecies, surrounded and perhaps influenced by vapors emanating from the rocks in the darkness beneath the Temple of Apollo. Next we squeezed through the Corinth Canal, an engineering marvel from start to finish, with barely a foot to spare on either side of our ship at its narrowest point. 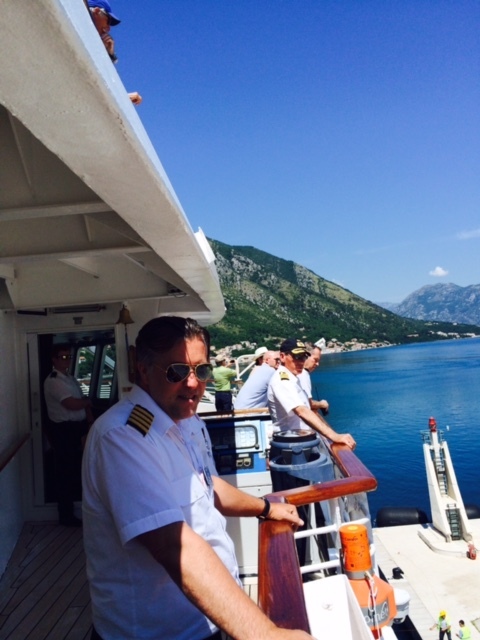 After winding through the glorious fjords of Montenegro, we rounded one last turn and the Captain let out three long low horn blasts. 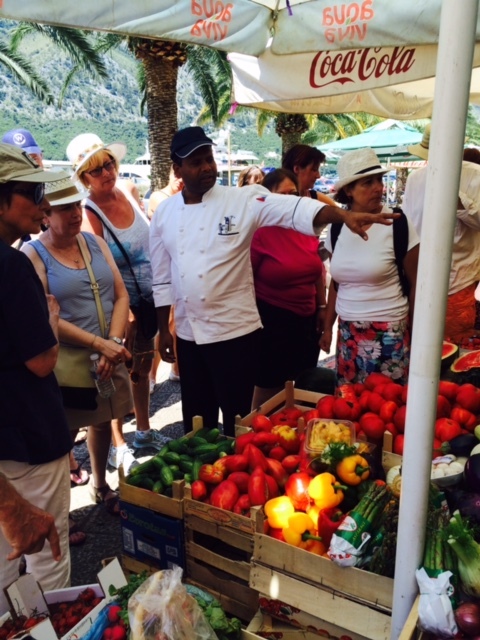 He was signaling our arrival to the Island of the Madonna that guards the entrance to the port of Kotor. In a sweet ritual that has been reenacted every time a ship enters this dramatic harbor, someone on the Island of the Madonna then tolls its bells in response, like two lovers calling to each other from afar. Croatia surprised us the most. Two stops in Dubrovnik and Hvar introduced us to the Dalmatian Coast, the home of craggy cliffside villages, islands and inlets stretched out along the Adriatic Sea. We began our day in sunny Dubrovnik kayaking among fortress walls and cliffs, ending with some snorkeling in a sea cave. Hot and hungry, we cooled off with the creamiest gelato and wandered the narrow streets of shops and homes climbing up the hillside. 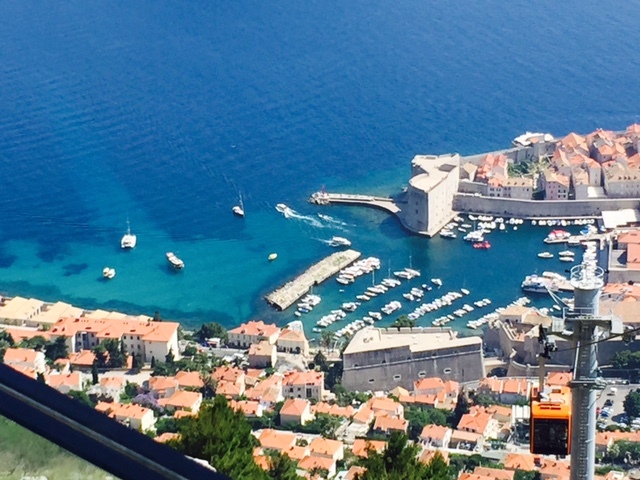 Halfway uphill we boarded a gondola and glided to the top of the mountain with glorious views of Dubrovnik below us and islands stretching off into the afternoon sun. Not wanting to leave our breezy perch, we dined on juicy tomatoes and burrata and a savory seafood risotto at the Restaurant Panorama with its namesake views. Probably the only way to top Croatia was our last stop, Venice, la Serenissima. We sailed into the Grand Canal to a dramatic thunder and lightning storm that lasted until we docked. With her rich history of trade, art and decadence, there is no better city to get lost in than Venice, to wander among the alleyways that always lead to water and bridges, quaint shops and eateries. 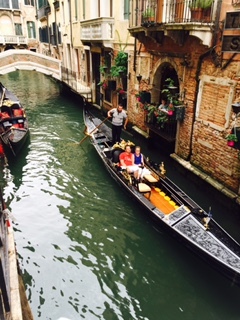 And instead of busy streets filled with buses and taxis, Venice’s “streets” are its canals, plied by water taxis and gondolas, not a car in sight. I think my favorite thing about our WindStar cruise is the “Sail Away,” the nightly ritual with music, lights, pomp and circumstance when the ship pulls away from the pier and we set sail for our next destination. Guests drop everything to run up to the Sky Bar on the top deck to catch this event. Two of the ship’s officers in their dress whites stand poised waiting for Vangelis’s music to crescendo and then ever-so-slowly raise the WindStar flag, inch by dramatic inch, until, over the course of three minutes, the flag is fully raised up into the evening breeze. This mesmerizing ritual would neatly wrap up the day’s adventures and was a sweet harbinger of the adventures to come in the morning. Sail Away was the time to gather together with other guests to share stories of wine tastings and hikes, olive presses and swims. All washed down with a glass of wine or the signature cocktail of the day as fellow guests on this intimate ship became fast friends. What's your dream vacation? Whether the perfect vacation fills your days and nights with adventure, brings your family together or whisks you off to romance, we can build you a dream vacation filled with the sights, the sounds and the tastes you crave. Luxury travel specialists for 36 years, Alamo World Travel & Tours has been crafting authentic and unforgettable vacations that inspire, that create memories…and that give you the best stories to tell! Give us a call or stop by our office in Alamo Commons and let us whet your appetite for your next adventure. We'll ask the questions you might not even know to ask. And to help you start planning, we have gathered information here on most of the sailings and tours that are currently available. 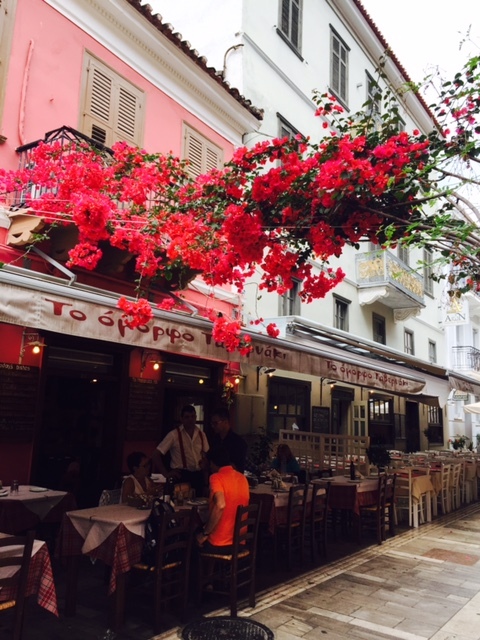 This entry was posted in croatia, Cruise, greece, Mediterranean, montenegro, Sailing, Travel and tagged athens, croatia, cruise, delphi, dubrovnik, Europe, greece, Kotor, Montenegro, travel, vacation, Venice. Bookmark the permalink.